» Happy Holidays from Team McGarry! Happy Holidays from Team McGarry! Merry Christmas from Team McGarry! 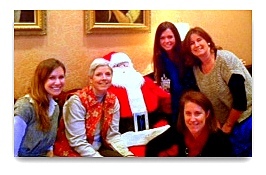 Just wanted to share a quick snapshot of our office Holiday party today. « Previous Post: It’s beginning to look a lot like Christmas at 504 W 14th!